One of the hardest parts about operating Withered Fig as an online store is assisting customers with sizing. Sizing denim and pants can be hard, but we make do with as much information as possible, to include information from you – our customers (such as providing us your measurements from your best fitting pair). 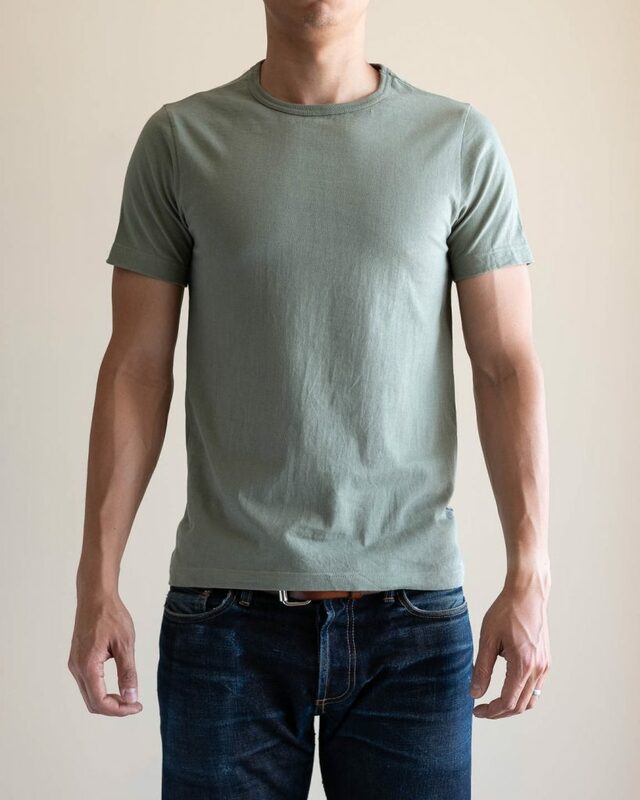 When it comes to shirts and tees, we think there’s a little more leeway, and that most people can get by with a couple basic measurements (chest and shoulders). 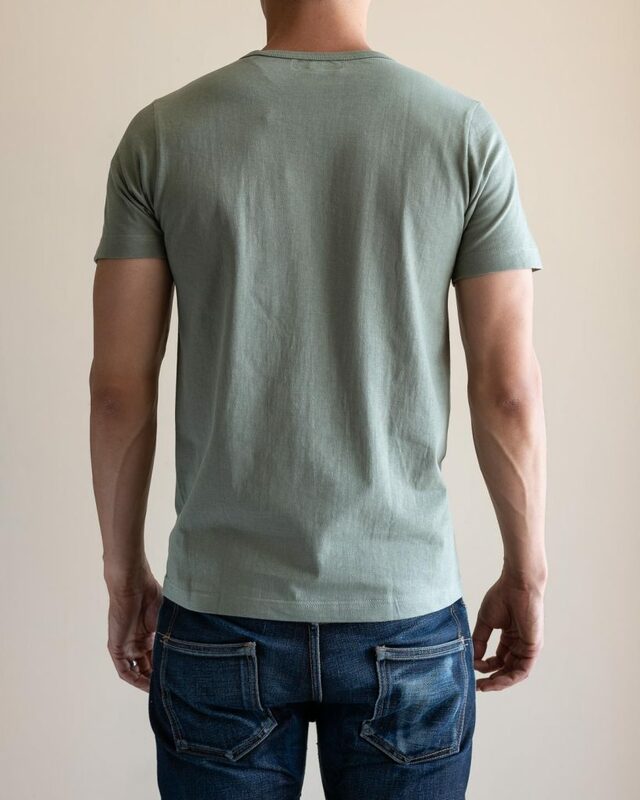 We’ve generally found sizing on our “shrink-to-fit” shirts (the 3sixteen Heavyweight Tees and Merz b. Schwanen knits) to be pretty accurate in terms of sizing up one full size, but we wanted to provide some additional clarity on how and where the shirts shrink, specifically when it comes to Merz b. Schwanen. There’s not too many hard numbers for sizing and shrinkage for Merz, except that they will generally shrink about 1-2” in length and minimal shrinkage in width. So we’ve done a few shrink tests to help narrow this information gap. 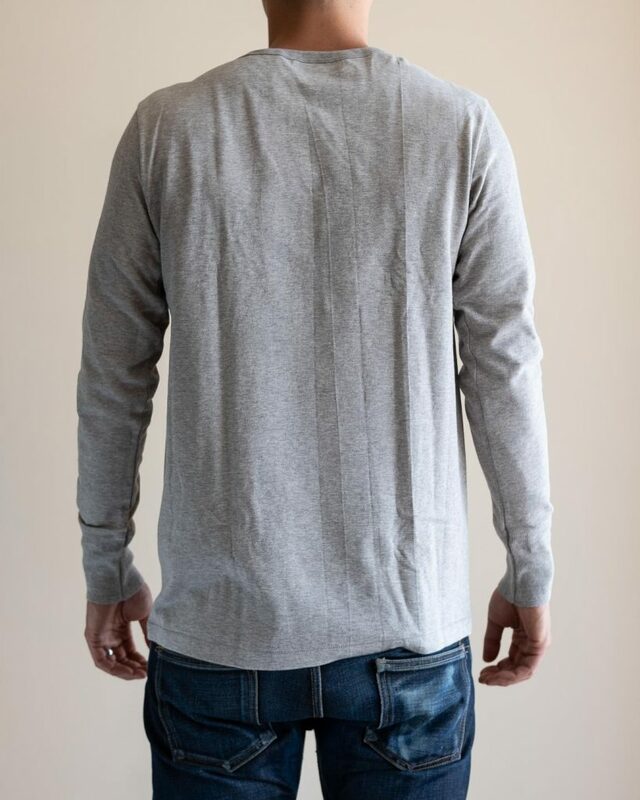 The first shirt we’ll use is the 206 L/S Henley, one of their most popular styles to date. Wear: Worn numerous times for several months. Wash: Washed at least 6-7 times with a machine wash warm and tumble dry on medium heat. Please note, Merz does not recommend tumble drying; however we experimented with it to understand how it may affect the fabric. Comments: Here you can see how the shirt shrank after wash, but then stretched back out a little after wearing it in for a couple hours. Nevertheless, even with the slight shrinkage, it did make the henley feel much more fitted all around. As expected, the length shrunk 2” and the sleeve length about 1.5”. The biggest change was definitely the length, as you can see the bottom hem of the shirt rise from below my pocket bag opening, to above. Wear: Worn once prior to washing. Wash: Washed once with a machine wash cold and hang/air dry. Note: The following measurements were taken after the garment was dried and steamed. Comments: Here we see about a 0.5” shrinkage in both the chest and shoulders. Generally, the shrinkage is only slightly noticeable in the chest area, but more noticeable in length. If you prefer a very tight tee, you could go TTS (which is what I did in this case, however based on the length of the tee after it shrunk, I would opt for a 6 | L rather than stay with a 5 | M). Comments: This tee shrunk one full size in the chest and slightly in the shoulder. 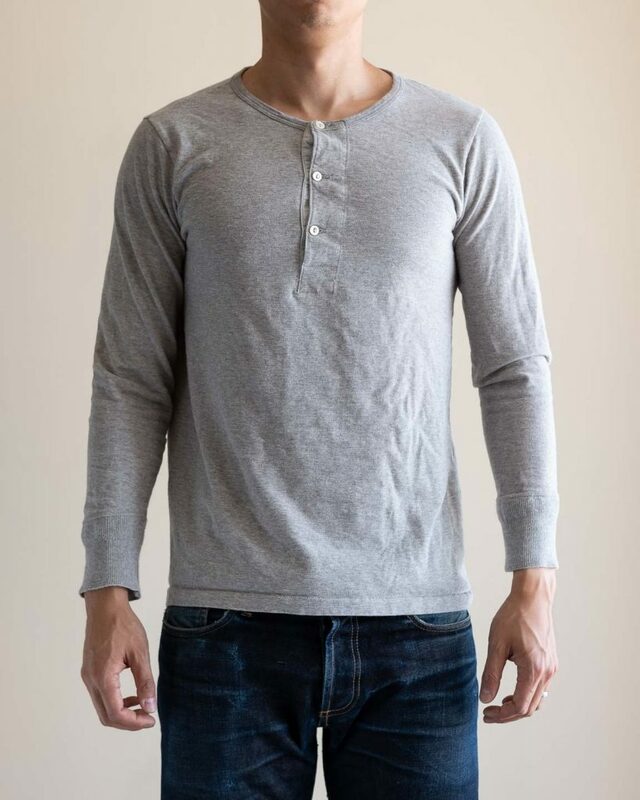 Although the shirt has not been worn in after wash, we’d expect it to stretch out a tiny bit similar to the 206 Henley. As expected, the length shrunk close to 2” and the sleeve length about 1”. 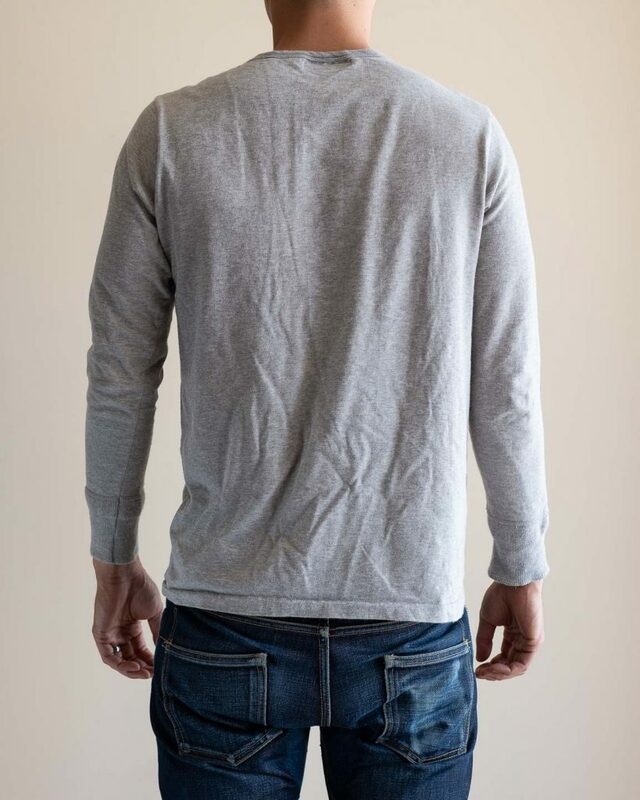 Due to the 2-thread fabric, these are a heftier weight and we’d caution sizing TTS unless you want an extremely tight fit or never want to wash your shirt. Unfortunately the shirt we tested was given to a friend to wear before we were able to take before and after fit pics of this one. 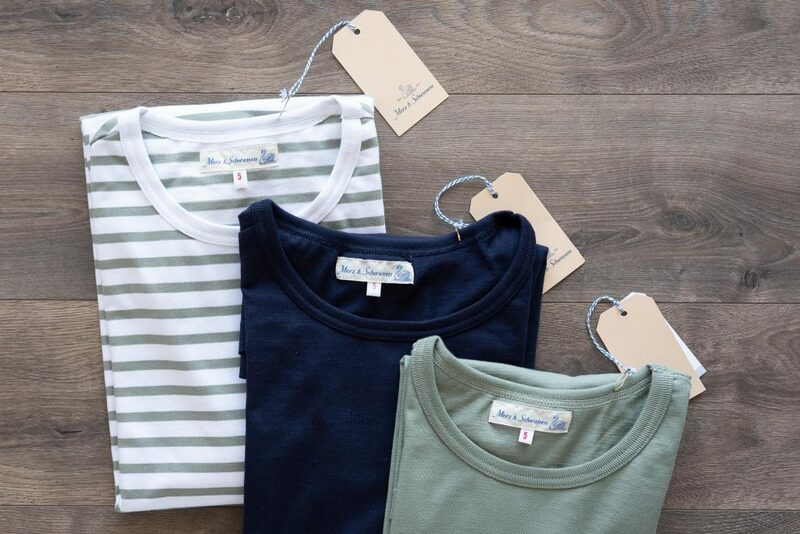 Overall, we found the shirts to reliably shrink 1.5-2” in overall length, and depending on the specific style, 0.25 – 1” in width immediately after wash. 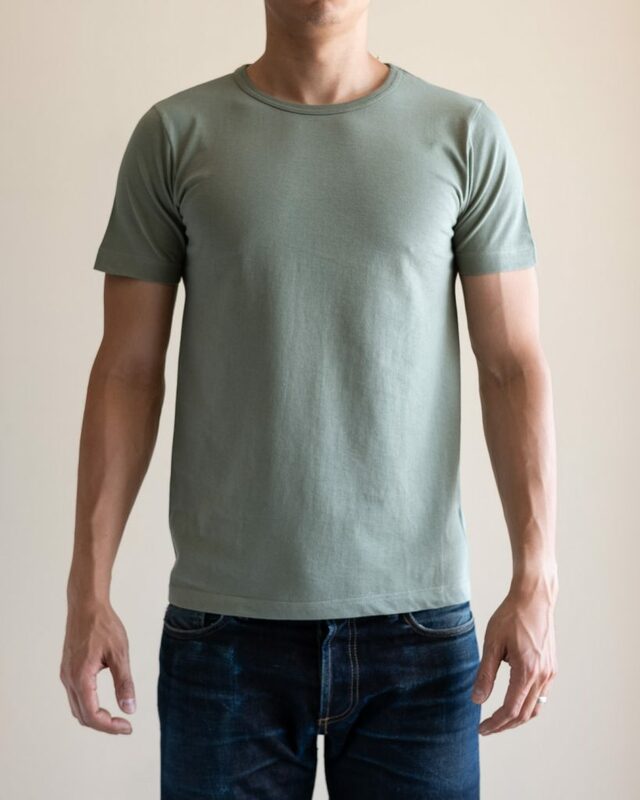 However, after wearing in the shirts the width tended to stretch back out a L. What that means is that most people should size up one due to the potential shrinkage in the width and definitely length; however, for those who may want a tight fitting shirt, or who may be in-between sizes (i.e. you typically wear a M, but it runs slightly large and going to a S would be too small for you), then you could stay TTS and go with your typical M in this case (exception is for the 2M15 striped tees). Lastly, as we mention on the Merz product pages, due to the irregularities in loopwheeled fabrics, there will be slight variations in the measurements even within the same size and across same styles but different colors. We are always happy to measure a specific size for you to ensure you get the exact fitting shirt you want, or if there a larger size within the same size, etc. See our entire Merz b. Schwanen collection at our store here. As a promotion, mention in the comment box at check-out that you read this blog post and let us know what you thought about it, and we’ll double the reward points you receive for your purchase of your Merz b. Schwanen items (cannot be combined with other promotions). If you don’t see your size in stock, e-mail us for an estimate. Promotion ends July 31st, 2018.